My little one just turned 10 months old almost two weeks ago. Wow! Time sure has a waiting of flying by when you're busy. Now that she is 10 months old and has a couple teeth, she's not only starting to eat more solids, but she's also starting to use a sippy cup. In the past with our older two kiddos, we started to wing them off of the bottle a little after they turned one and only use it at night before bed. At around 9-10 months is when we introduced a sippy cup for my other two, so that they could get comfortable and use to it and we're doing the same thing with our youngest. I was excited when I was sent the new insulated spill-proof spout cups from Playtex. These cups are not only spill proof, but they also keep the drinks cool and fresh twice as long as a regular single wall cup. With the cup being a Twist ‘n Click, it allows us moms to hear the audible click that let's us know the cup is guaranteed 100% leak and break–proof. 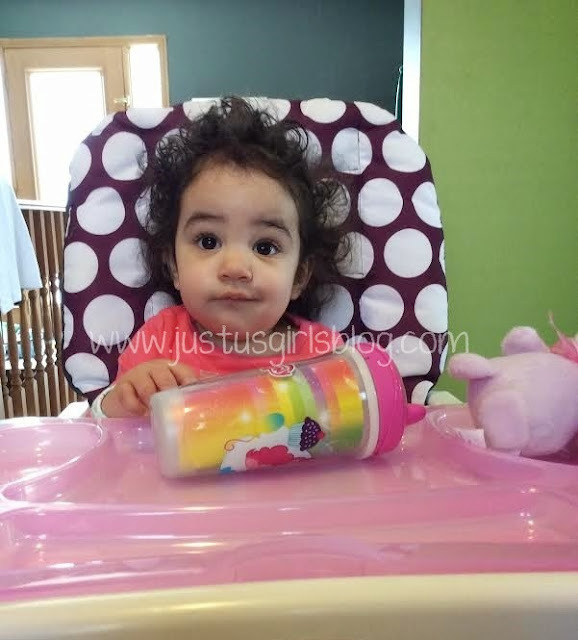 The Spill-proof Spout Cup is made for little ones that are 12+ months. 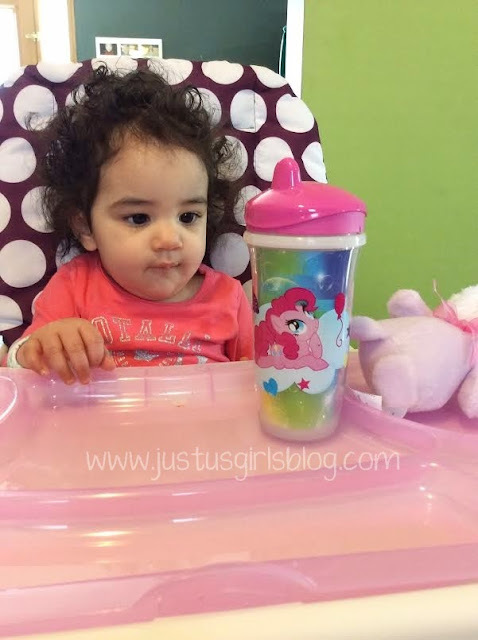 Although my little one is a couple months away from the recommended age, I still allowed her to try and use the cup and was very impressed with how she was able to hold it and try to take a sip of her juice from it. Since Playtex has cups for every occasion and for babies 4+ months and older, currently we are using the Playtex Anytime cup with our little girl, which is recommended for little ones that are between 9-12 months old. I absolutely love that there are cups made for every stage of my little girl growing from baby to toddler. Disclosure: All opinions are my own. 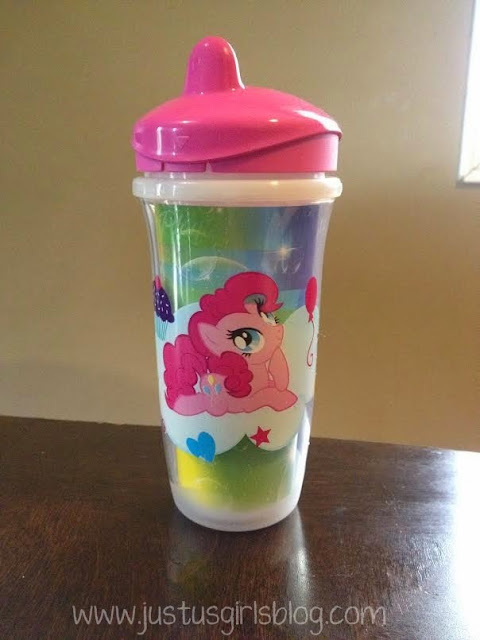 I received a Playtex Playtime Cup at no cost for the purpose of this review. No other compensation was received.